Perfect for the man in your life, the Nomination Trendsetter Steel Two Ropes Bracelet is crafted from stainless steel links and is adorned with an engraved rope as well as a twisted steel rope insert. Measuring 17cm, the bracelet is supplied with two spare links, allowing it to be extended to 19cm. This bracelet can also be personalised with Composable Classic Charms. https://www.johngreed.com/nomination-trendsetter-steel-two-ropes-bracelet 134598 Trendsetter Steel Two Ropes Bracelet https://www.johngreed.com/media/catalog/product/n/c/nc7289_0_1.jpg 49 49 GBP InStock /Women /Men /Women/Bracelets /Women/Brands/Nomination /Women/Brands/Nomination/Nomination Bracelets /Men/Bracelets /Men/Brands/Nomination /Men/Brands/Nomination/Bracelets /Men/Men's Stainless Steel Jewellery /Women/Brands /Men/Brands Perfect for the man in your life, the Nomination Trendsetter Steel Two Ropes Bracelet is crafted from stainless steel links and is adorned with an engraved rope as well as a twisted steel rope insert. Measuring 17cm, the bracelet is supplied with two spare links, allowing it to be extended to 19cm. 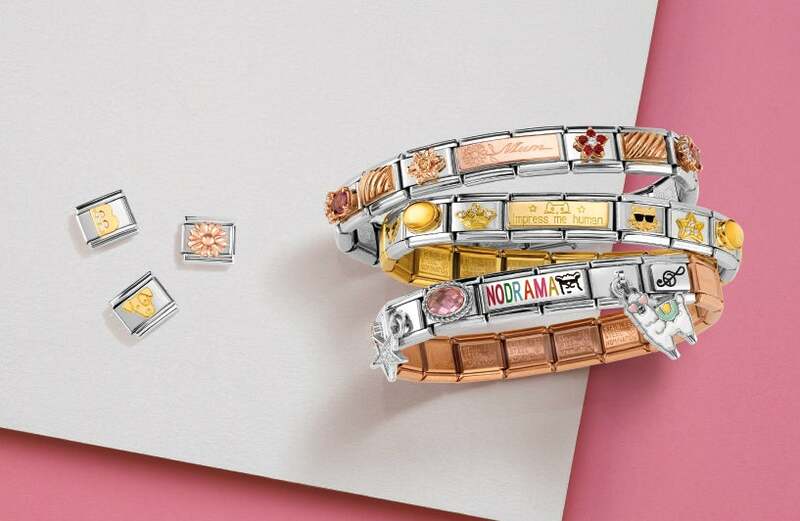 This bracelet can also be personalised with Composable Classic Charms.